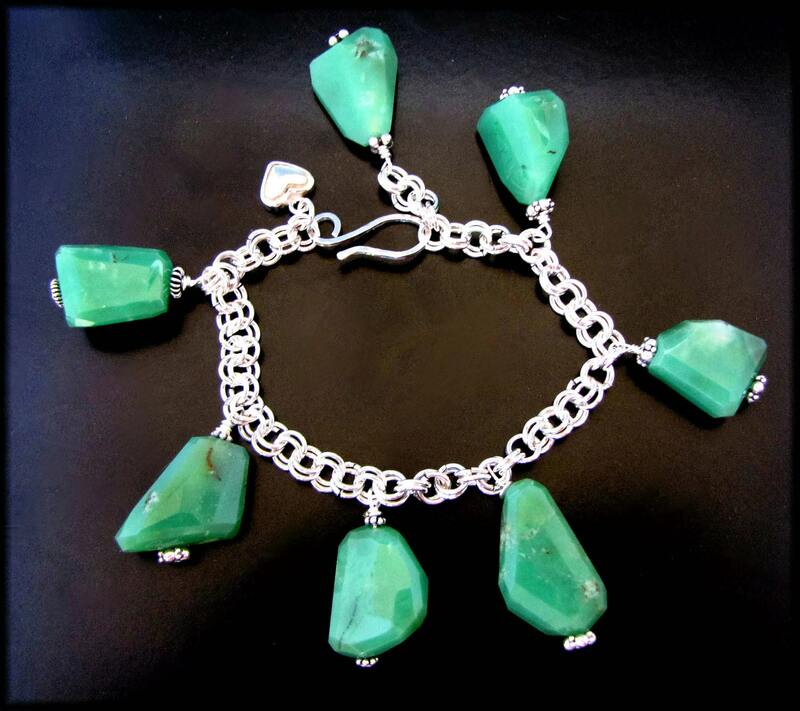 Leaves of Green - This bracelet features chunks of Apple Green Chrysoprase and sterling beads wire wrapped onto a handmade Sterling Silver Chain and S Hook with a delicate Heart dangle at the end. This charm style bracelet measures approximately 8 inches in length and can be fastened at any link to accommodate various wrist sizes. It can also be lengthen or shortend upon request.